That said, Sanders’ name came up when Karl asked Messina for his top picks for Democratic finalists. 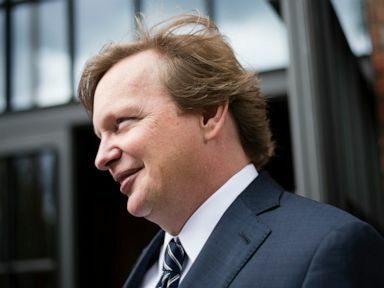 Jim Messina the former White House Deputy Chief of Staff for Operations under President Barack Obama, in Berlin, May 9, 2015. Messina predicted a drawn-out process to determine who will be the last Democrat standing, citing the unprecedented number of presidential hopefuls in the field and the rules that award delegates to candidates proportionally. "If nothing else, he will definitely be one of the final two or three candidates who has a shot at the nomination," Messina said. Sen. Kamala Harris, D-Calif, also made Messina's list, as did former U.S. Rep. Beto O'Rourke and former Vice President Joe Biden, who has not declared he's running. Messina praised Harris' success in fundraising, and said O’Rourke "has money and some magic, and he's working harder than any any of the other candidates on the road. And he just hired, in my opinion, one of the best campaign managers in America." Biden’s name recognition and association with Obama makes him a likely finalist, Messina said, adding, "I think we're going to have another surprise candidate. Today, I’d say that's Mayor Pete," referring to Pete Buttigieg, mayor of South Bend, Indiana. Messina said he has now met with 34 potential presidential candidates or their teams, but told Karl and ABC News Political Director Rick Klein on the podcast that he does not think the crowded field poses a problem for the Democrats’ 2020 efforts. Messina said he’s frequently receiving calls from people who want Obama to get involved in the primary to help the Democrats secure a nominee. They tell him, "'There's too many candidates, we’re going to beat each other senseless,'" Messina said. "And I don't think that's right at all. I think we need to let this process play out," Messina added. "We're going to find out if Bernie Sanders can can move a message to both swing voters and his base. We're going to find out if Joe Biden is battle tested. We're going to figure out whether Kamala Harris and Beto O’Rourke and Mayor Pete have the magic we think they have." Powerhouse Politics podcast is a weekly program that posts every Wednesday, and includes headliner interviews and in-depth looks at the people and events shaping U.S. politics. Powerhouse Politics podcast is hosted by ABC News Chief White House Correspondent Jonathan Karl and ABC News Political Director Rick Klein.